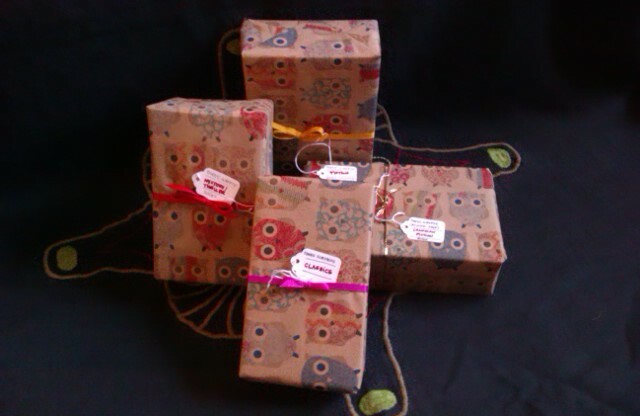 Our one-of-a-kind surprise three-packs of books have shed their summery white tissue paper and are now wrapped up in warm wooly owls and ribbons, ready for the gift-giving season. You don’t know what you’ll get, but that’s where the fun lies! For just $9.95 + tax, you get three secondhand surprise books. All you have to do is pick the genre and you’re all set! All of a sudden buying something for that hard-to-buy-for person on your list seems pretty easy, doesn’t it? !